I usually start in the beginning and work my way chronologically through the trip. It’s a good way to write. It seems to be working for people for the past few thousand years. This time, though, I’m going to start at the end. I landed in Salt Lake City around 11:00 pm. This was the last of 3 flights that day. 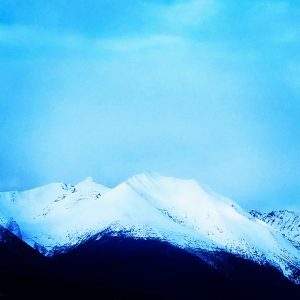 My day started at 7:00 am when I woke up to make the first flight out of Smithers. It was supposed to take off at 9:50 am but, as life does from time to time, things didn’t go as planned. My flight was delayed and we didn’t take off until around 12:30 pm. No big deal, right? Until it had the rippling effect of pushing all my other flights back, requiring some rescheduling on my part. Once I was in the air, everything appeared to be squared away. This wonderful airport-filled day culminated in me running through SeaTac to make the last flight home. I made it to the gate just in time to find out that flight was delayed as well. I should have expected this, given the apparent recurring theme of the day. This was my second time in Canada, and this time it was Smithers, British Columbia…in December. I grew up in Utah, so I’m no stranger to winter. I’m familiar with snow and cold temperatures. Utah is known for its snow, and in fact the tagline “Greatest Snow on Earth” is actually stamped on our license plates. Needless to say, I’m okay when it comes to winter. I’m not okay, however, when it’s 20 degrees below zero. I came to find out there’s cold…and then there’s British Columbia in December cold. I survived, but just barely. Besides the temperature, the thing that stuck with me most from this trip was definitely the kindness of Canadians. I know it’s a stereotype, and yes, the first time I was in Canada I found it to be true as well. Nonetheless, this trip the stereotype was cemented in my brain. 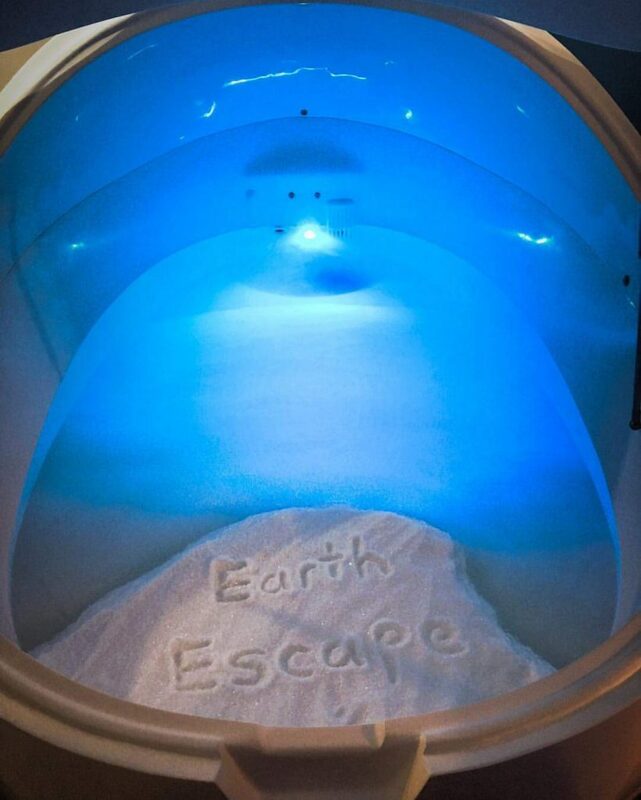 The Dreampod was going in at Earth Escape Float Therapy, which is owned by Travis and Chenille. They are just about the nicest and most polite people you could ask to meet. The first night in Smithers they took me out to dinner at a wonderful mexican restaurant. It was delicious and very welcomed after being on 4 different planes that day. I could go through and describe the setup and installation of the Dreampod, but let’s just say it went off without a hitch. Okay, maybe one or two hitches, but in the end Travis and Chenille were floating before my plane took off, which is a success in my book. One of my favorite things about being at Travis and Chenille’s was sitting at their kitchen table and enjoying the view. The table was situated by two large windows, making the beautiful mountain range Smithers sits at the base of clearly visible. It was truly a stunning view. They also had befriended a small squirrel which would run along the top of the fence outside and collect the nuts Travis would leave for it. Too damn cute. When it’s beyond freezing outside I can’t imagine anything more inviting than laying back in a float tank, the warm water wrapping you up and allowing your body to relax and unclench from the perma-shivering state you’ve been stuck in. Floating and winter fit pretty well together, and I have no doubt people who climb inside the tank at Earth Escape will agree. Travis and Chenille were just the first of many, many kind people I met in Smithers. Every person I came into contact with had a kind smile and polite greeting. Even the guy strolling the streets at 10 o’clock at night, clearly having to make the long walk home from the bar due to one too many shots, took the time to say hello and wish me well. I think he somehow forgot it was 25 below zero at the time. Or maybe he was warm enough from the shots to not notice. Regardless, I did my best to return the kind greeting with frozen fingers. While I was there, I was able to record an episode for the podcast. Every now and then it works out on installation trips and I can squeeze in an interview. This time it was with Michelle Blackett, the owner of New Age Insights in Smithers. Besides being a great guest on the podcast, Michelle also took Canadian hospitality and kindness to a whole new level. The first time I met her she invited me to a small dinner party where I was served homemade ravioli and was introduced to some of her friends. They were all delightful and welcoming of a complete stranger from the U.S. The following night was another group of friends, equally delightful, and some more incredible homemade Italian food mixed in with endless wonderful conversation. I like Americans, don’t get me wrong. I’m a fan of us, especially considering I am one. I must say though, after my time in Smithers and the abundance of wonderful people I met, I may be leaning a little north, even given the fact my toes still haven’t regained feeling. Luckily for me I have a Dreampod to crawl inside and help me defrost.